Everywhere I turn I find something I do not know. With so much technology and research and information at my fingertips, I am expected to be able to find all the answers within moments of asking the questions. It’s easy to forget the simple truth that far more important than the knowing is the wondering. I’ve wondered about that insect, too. Looks as if it could do some harm to another living thing! Maybe one of my readers will wager an identification guess. 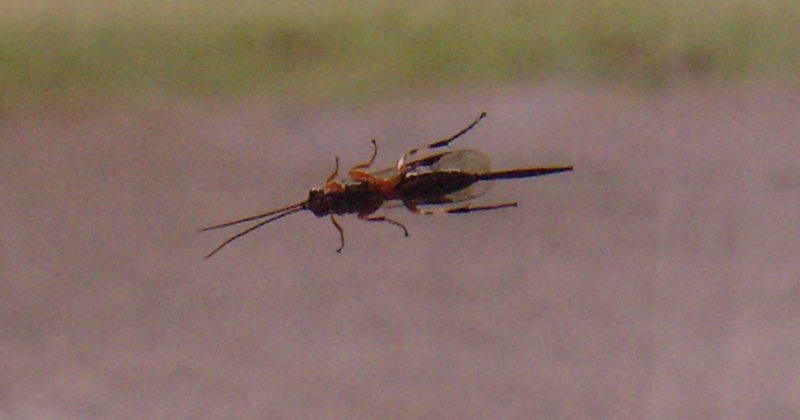 It looks to me like some sort of nymph, and I don’t care to find out (physically) if that tail is the stinger it looks to be.